Over the past 15 years, David has operated in a variety of service, management and advisory capacities either directly for an employer or through his consultancy DLF Sustainable Development Services. The skills and experience range from operational forestry, business development, policy, land use planning and governance. This experience has been built upon and supported by both a BSC in Forest Management from the U of A and a Forest Technologist Diploma from NAIT. A significant portion of the last 15 years have been spent in roles designed to promote First Nation involvement, participation or benefit from resource development projects or projects affecting lands within their Traditional Territories. Most of this work stems from his awareness of geopolitical intergovernmental relationships and the evolving Consultation doctrine at the Supreme Court of Canada. In all projects the key drivers to success have been identifying where collaboration, coexistence and consensus can be achieved amongst the parties. Through his consultancy, DLF Sustainable Development Services, he provided interim General Manager services for Wahkohtowin Development GP Inc and was awarded the full time position March 2018. The main focus has been on supporting business development and participation in the Forest Sector of Ontario on behalf of a group of owner First Nations. Recently, David became a Board for FSC Canada as a new National Standard prepares to launch. 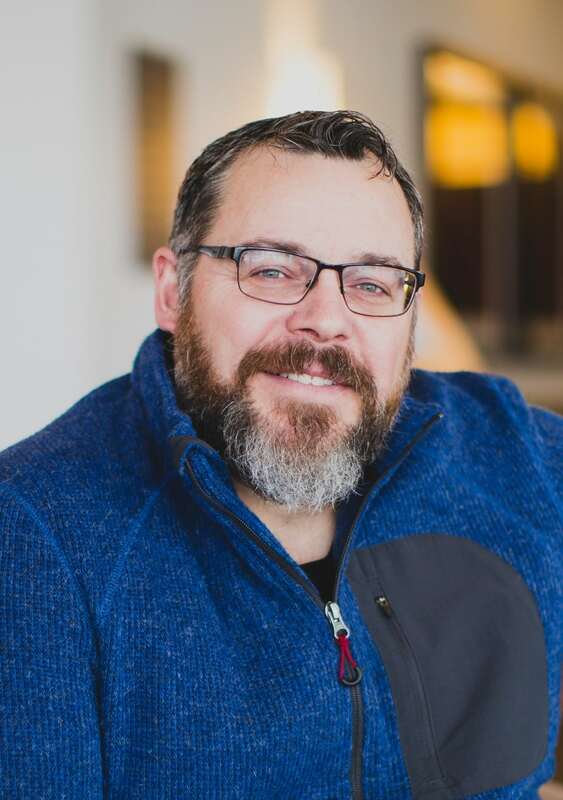 In an effort to grow awareness for indigenous competency and knowledge systems, David has also re-registered with the Ontario Professional Foresters Association. Over the past 15 years, David has operated in a variety of service, management and advisory capacities either directly for an employer or through his consultancy DLF Sustainable Development Services. The skills and experience range from operational forestry, business development, policy, land use planning and governance. This experience has been built upon and supported by both a BSC in Forest Management from the U of A and a Forest Technologist Diploma from NAIT. A significant portion of the last 15 years have been spent in roles designed to promote First Nation involvement, participation or beneift from resource development projects or projects affecting lands within their Traditional Territories. Most of this work stems from his awareness of the geopolitical changes related to changes and spectrum of Consultation Doctrine evolving in the Supreme Court of Canada. Marguerite and her family moved to Sault Ste Marie with her family in August of 2016 so that their children could go to college. She worked as a contract employee for OLG in their payroll department before coming on board with Wahkohtowin in October of 2016 as the Financial Controller. Catering and Accounts Payable and it forever changed her career path. She took a Bookeeping course which further solidified her passion in accounting. She had 14 years of experience as a Business Manager before joining the Wahkohtowim team. She brings many years of expertise in customer relations and accounting. Marguerite was a graduate of Hotel & Restaurant Management. She started with her last employer in 2000 in the sales and Catering and Accounts Payable and it forever changed her career path. She took a Bookeeping course which further solidified her passion in accounting. She had 14 years of experience as a Business Manager before joining the Wahkohtowim team. She brings many years of expertise in customer relations and accounting. Born and raised in a gold mining town known for its abundance in Natural Resources including Forestry and Mining. Natalie’s education and background is no surprise to many who knew her as a child and growing up. She always had passion for Natural Resources and protecting wildlife which has led her to post-secondary education in Forestry, Fish and Wildlife Technologist. During this time Natalie has had the opportunity to work with the Ontario Ministry of Natural Resources for the Timmins and Gogama District as a Fisheries Assistant, Bear Management Technician and Resource Management Technician. Her passion for the Natural Resource sector has brought many different opportunities such as the Assistant Land Manager for Goldcorp Canada and Teaching the Environmental Program for College Boreal. Her absolute love for the environment, Natalie found a new passion in supporting First Nation’s across Ontario in environmental protection initiatives that has led her to accept a 2-year position with Mushkegowuk Tribal Council as the First Mineral Exploration Advisor. Her position during that time has consisted reviewing Mineral Exploration Plans and Permits, act as a resource to communities seeking to build understanding of government related acts and policies, creating Land Tenure maps for Cultural Values protection (GIS application), coordinate and meet with government officials such as the Ministry of Energy and Northern Development and Mines and mining proponents. Her knowledge and skills has provided technical support to all Seven Mushkego communities in which she has gained trust and respect amongst Mushkegowuk Chiefs in political and legal matters for Aboriginal and Treaty Rights. During this time, Natalie has accepted employment with Moose Cree First Nation with mining related projects and has developed and implement Resource Development protocols as the Mining Coordinator. During her 6 year employment supporting First Nation’s, she has had the opportunity being a guest speaker to many workshops, events and communities and in 2014 has successfully completed The Osgoode Certificate in Mining Law. Born and raised in a gold mining town known for its abundance in Natural Resources including Forestry and Mining. Natalie’s education and background is no surprise to many who knew her as a child and growing up. She always had passion for Natural Resources and protecting wildlife which has led her to post-secondary education in Forestry, Fish and Wildlife Technologist. During this time Natalie has had the opportunity to work with the Ontario Ministry of Natural Resources for the Timmins and Gogama District as a Fisheries Assistant, Bear Management Technician and Resource Management Technician. Her passion for the Natural Resource sector has brought many different opportunities such as the Assistant Land Manager for Goldcorp Canada and Teaching the Environmental Program for College Boreal. Her absolute love for the environment, Natalie found a new passion in supporting First Nation’s across Ontario in environmental protection initiatives that has led her to accept a 2-year position with Mushkegowuk Tribal Council as the First Mineral Exploration Advisor. Her position during that time has consisted reviewing Mineral Exploration Plans and Permits, act as a resource to communities seeking to build understanding of government related acts and policies, creating Land Tenure maps for Cultural Values protection (GIS application), coordinate and meet with government officials such as the Ministry of Energy and Northern Development and Mines and mining proponents. Her knowledge and skills has provided technical support to all Seven Mushkego communities in which she has gained trust and respect amongst Mushkegowuk Chiefs in political and legal matters for Aboriginal and Treaty Rights. During this time, Natalie has accepted employment with Moose Cree First Nation with mining related projects and has developed and implement Resource Development protocols as the Mining Coordinator. During her 6 year employment supporting First Nation’s, she has had the opportunity being a guest speaker to many workshops, events and communities and in 2014 has successfully completed The Osgoode Certificate in Mining Law. Isabelle Males is an enthusiastic young professional working towards her Registered Professional Forester designation in Ontario. Her role at Wahkohtowin is Forestry Intern specializing in Forest Management Plans and Indigenous involvement. 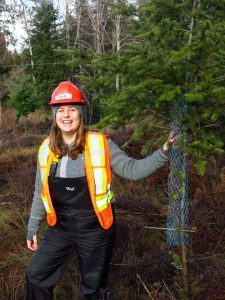 To assist her in this role she recently graduated from the Master of Sustainable Forest Management program at the University of British Columbia, and has a BSc in Environmental Sciences and Resource Management from the University of Guelph. She also has a season of field experience working as a junior forester for a consulting company in Kamloops BC. 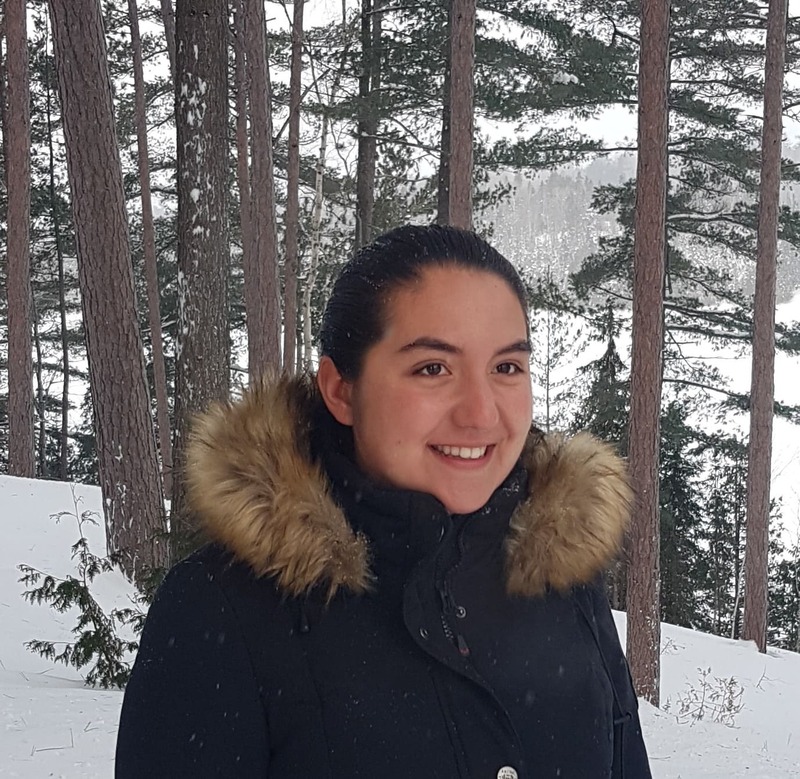 Isabelle is a member of Timiskaming First Nation, and had the opportunity to work with other First Nations on resource management projects during her university career. She is excited about her new opportunities to serve Northeast Superior First Nations through Wahkohtowin where building relationships with Indigenous communities and forest professionals will be a priority. Jaime Fortin is an Indigenous woman who grew up on the Chapleau Cree First Nation. She attended Trent University and attained a major in Indigenous studies with an emphasis in Law and Policy. Her role as Guardianship Initiative Coordinator is very much linked to her passions related to Indigenous Peoples Rights and use of their Territories. Jaime enjoys spending time out on the land, being outdoors and learning new skills and knowledge promoting traditional foods and medicines. She currently is residing back home on the Chapleau Cree Reserve and is excited to be part of the early stages of growth for the Guardianship Initiative.